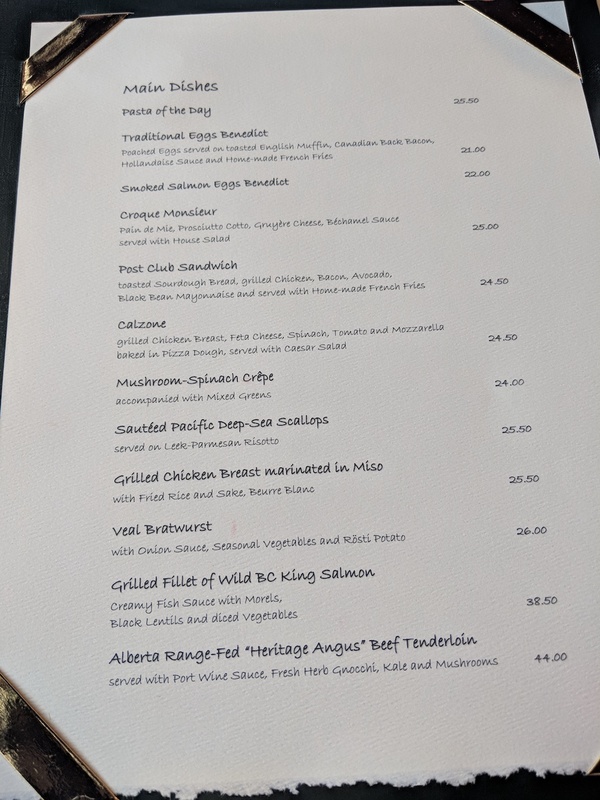 The menu may look short on the page, but there’s a surprising variety of choices – something for everyone and every taste. 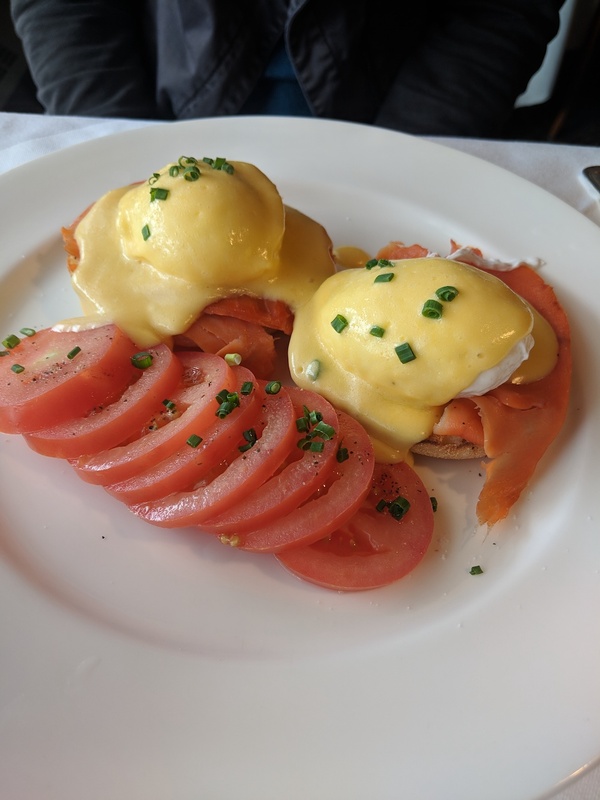 Smoked Salmon Eggs Benedict is that perfect bridge between breakfast-brunch-lunch. They do a lovely job, with a beautiful Hollandaise, and delectably thin slices of smoked salmon. Yum! 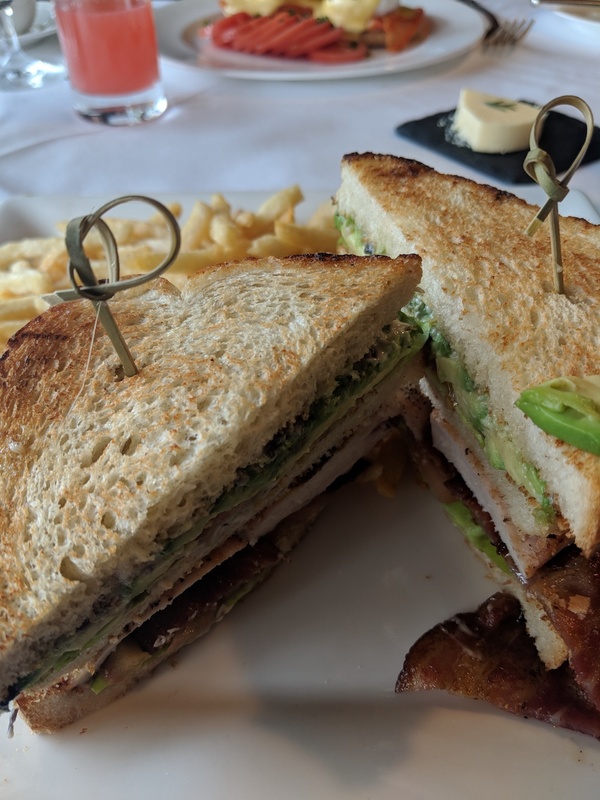 If you’re looking for a more casual atmosphere, try the Post Hotel’s Outpost Pub, with not surprisingly, more pub-like fare — burgers, sandwiches, quesadillas and pizzas. 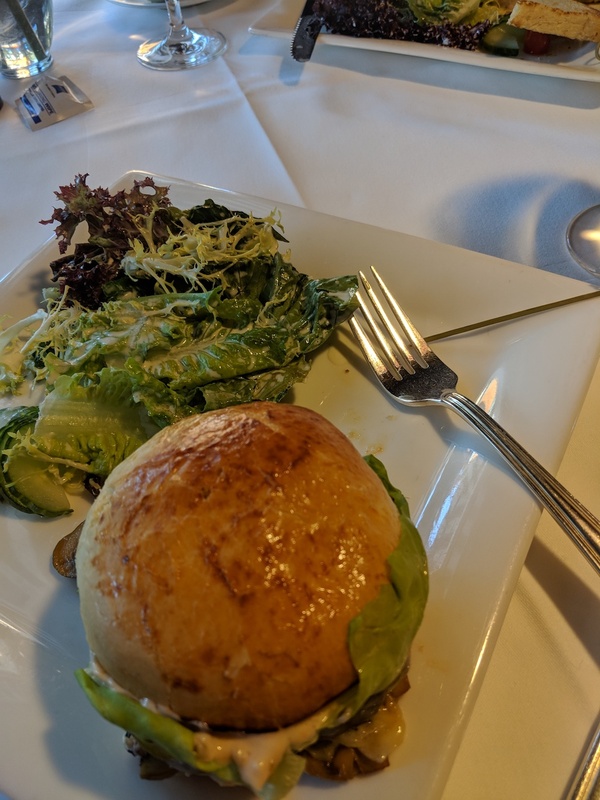 While we haven’t personally dined there, it looks great and is sure to make for a hearty, satisfying lunch before heading up to the lake or wherever else your time in the Rockies takes you.